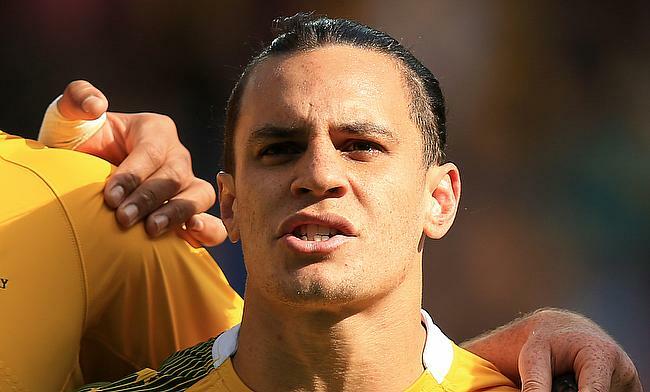 Toomua is in contention to play in the Bledisloe Cup opening clash against New Zealand on 18th August after he signed a two and a half year deal with Rugby Australia and Melbourne Rebels. He will return back to the Super Rugby competition at the end of his current contract with Leicester Tigers that will terminate with the 2018/19 season. There was some confusion about Toomua's inclusion in the trial game against Super Rugby Selection side at Leichhardt Oval but head coach Michael Cheika named the 28-year-old at the last moment and he kicked three conversions before coming off in the 52nd minute. "He really understands what's required of him as a 10, he's played at this level a lot before," Genia told AAP. "For me the communication was nice and clear and the good direction that he gave to me, but also the team when we were out there together. "I think he's come back a much better player from Leicester." Genia himself played his first game after seven weeks after breaking his arm during the June series against Ireland and had a 35-minute second half stint. "I'm really grateful for the fact that they organised this trial and to have played some minutes,'" Genia said. "The most enjoyable thing for me was getting out there and playing some rugby again. "I knew i'd done the work in terms of my conditioning to be up for it and I just feel a lot better for having that hitout."